Former Prime Minister Sir John Key will visit India in October this year. Although the visit is primarily to chair a meeting of the International Democrat Union (IDU), he will utilise his visit to foster his friendship with India’s Prime Minister Narendra Modi and exchange thoughts and information on international developments and further the goals of the organisation. “I look forward to the visit and spend some time with Mr Modi who will also attend the IDU meeting. IDU is a working association of over 80 Conservative, Christian Democrat and like-minded political parties of the centre and centre right,” he told Indian Newslink on Tuesday night (July 11) at the Langham Hotel, where he addressed a group of hospitality-related businesses and guests from Earthcheck, the world’s leading scientific benchmarking, certification and advisory group for travel and tourism. Sir John, who was relaxed and jovial, spoke briefly about his life after resigning from the post of Prime Minister on December 12, 2016 and as Member of Parliament on March 23, 2017. “I have been busy travelling on the Speakers’ circuit since my resignation. It has never been a dull moment and I enjoy my engagement with Air New Zealand as a member on its Board of Directors. There is a lot to do,” he said. Sir John said that he was in contact with many of the world leaders, past and present. “My role as Chairman of IDU provides opportunities to meet with many of the world leaders with whom I was associated during my tenure as Prime Minister. Mr Modi’s Bharatiya Janata Party (BJP) is a member,” he said. 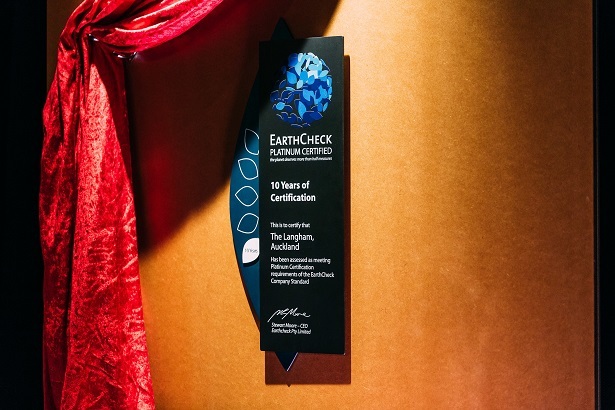 Sir John was at the Langham to celebrate the Hotel’s ‘Platinum Certification’ accorded by Earthcheck, the only hotel in Australasia to achieve the distinction. Langham Auckland Managing Director Franz Mascarenhas said that the Hotel has been striving to meet the high standard for the past ten years. 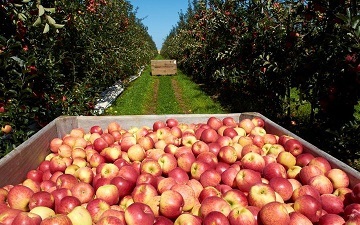 “We started this journey as far back as 2006, recognising that hotels are large users of energy and natural resources, and therefore realising that every little action that a large hotel like ours could take would help. Last year at the New Zealand Hotel Industry Conference held here at the hotel, we won the Environmental Initiative Award for being the most sustainable hotel in New Zealand and it was good to receive that from our own peers. I think The Langham has progressively gone from strength to strength,” he said. Sir John unveiled a plaque that commemorates Langham’s Platinum Certification. Indian Newslink will publish a more detailed report with more pictures of the milestone achieved by Langham Auckland in its next (August 1, 2017) issue. Photo : Sir John Key with Earthcheck CEO Steve Moore and Langham Auckland Managing Director Franz Mascarenhas after unveiling the Earthcheck Platinum Certification Commemorative Plaque (right) on Tuesday, July 11, 2017.